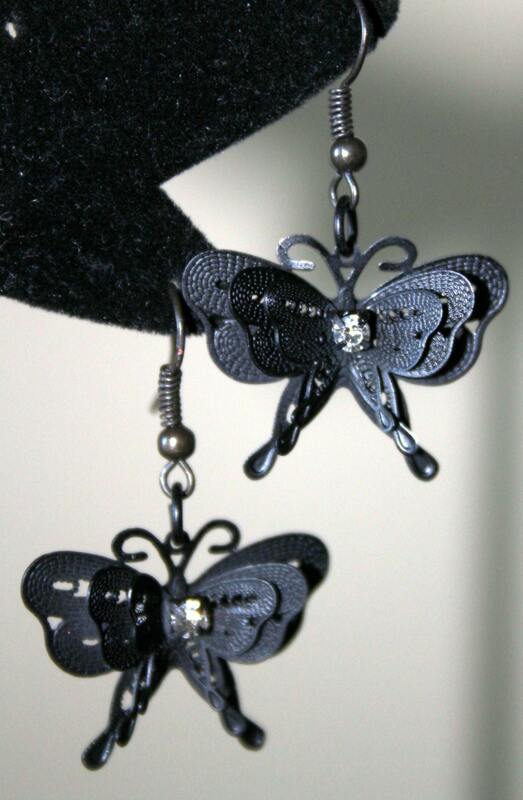 These beautiful black, wire laced, three dimensional butterflies look very Victorian. The French hook earrings are black also and are hypoallergenic. There is a single rhinestone crystal in the middle to give them a little sparkle. 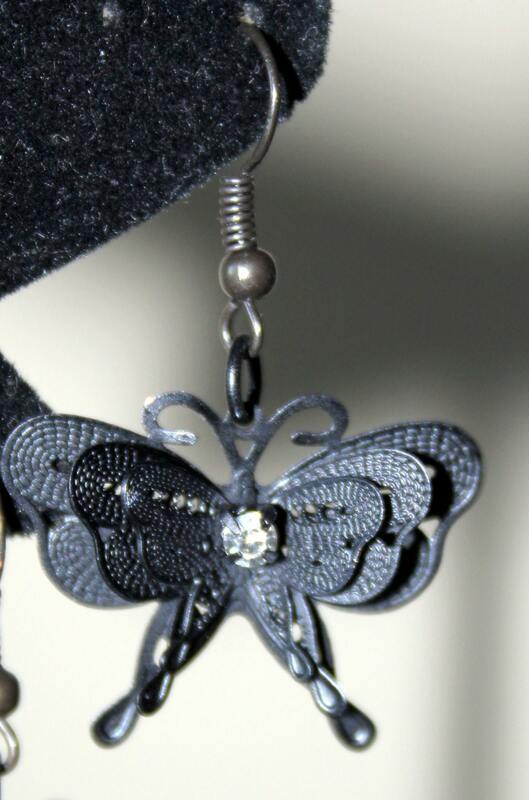 The earrings are very light and are 1 1/2 inches long from the top of the hook to the bottom.